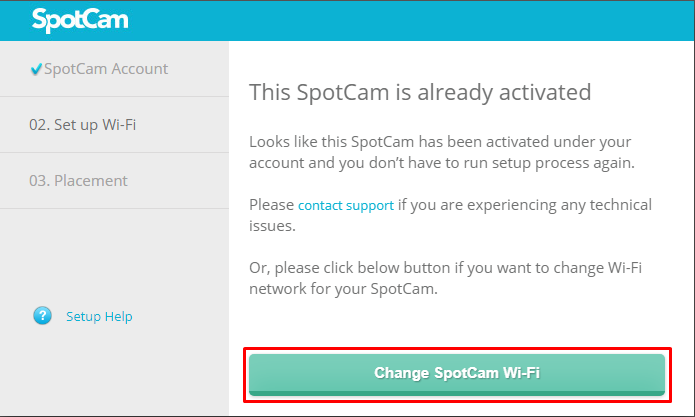 If you SpotCam is up and running for a while, but now you have to move the camera to another location where a different Wi-Fi should be used, then what you need to do is just change Wi-Fi setting of your SpotCam. Note, you don’t need to deactivate your SpotCam to change Wi-Fi. 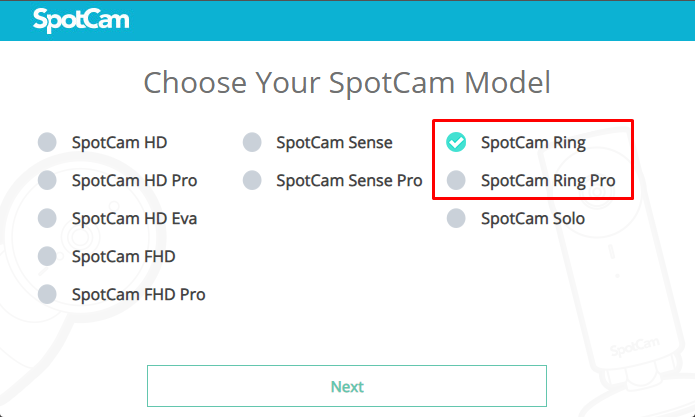 Change to a different Wi-Fi for your SpotCam is as easy as you setup your SpotCam for the setup, you can use either PC, laptop, tablet or smart phone to run SpotCam installation process again then you can easily change the Wi-Fi setting of your SpotCam. 3. 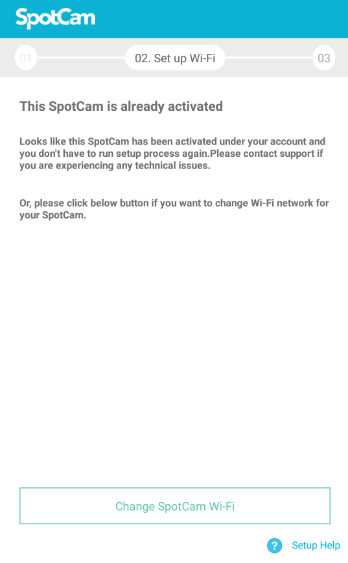 Use smart phone/tablet/PC/MAC to log in with the same account you registered SpotCam earlier and change the WiFi connection for your SpotCam. 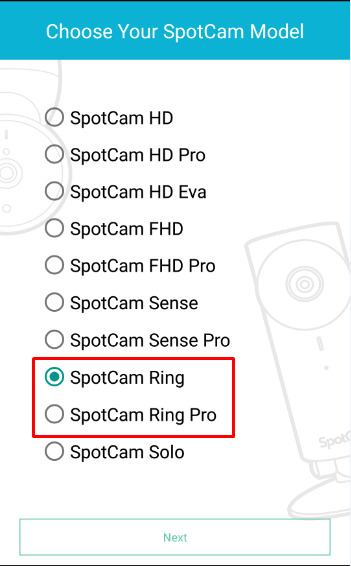 If you are using PC or laptop, just visit MySpotCam.com home page and then you will see Add SpotCam button at the bottom left corner. Once click on the button, you will be asked to download the SpotCam installer, please execute the file after download complete. Don’t worry; nothing will be installed on your device. 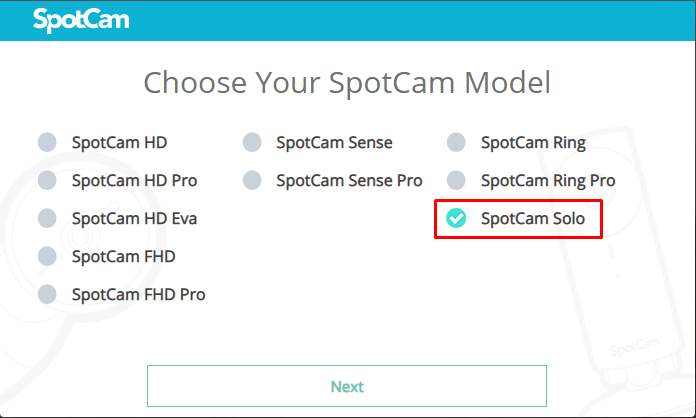 Just follow the instruction to run SpotCam installation process, and select the specific camera model in below page. You will see a message like below during the process, just click Change SpotCam Wi-Fi button and move to next step. 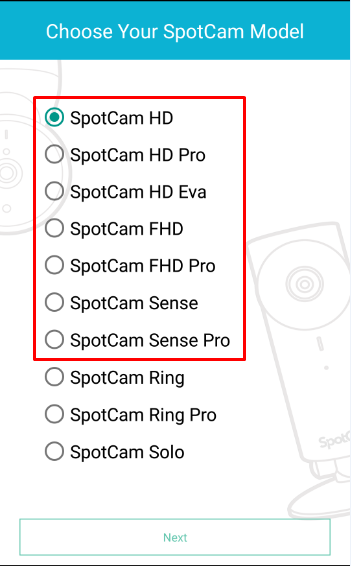 Select the Wi-Fi network you want your SpotCam to connect with then follow the instruction to finish the SpotCam installation process. If you are using iPad/iPhone or Android smart phone or tablet, please install SpotCam APP from Apple APP Store or Google Play. 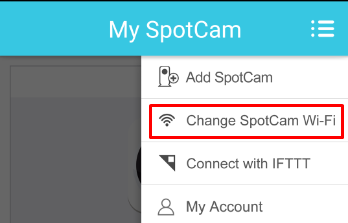 After log in to the APP, you can find Change SpotCam Wi-Fi button in the menu as shown below. 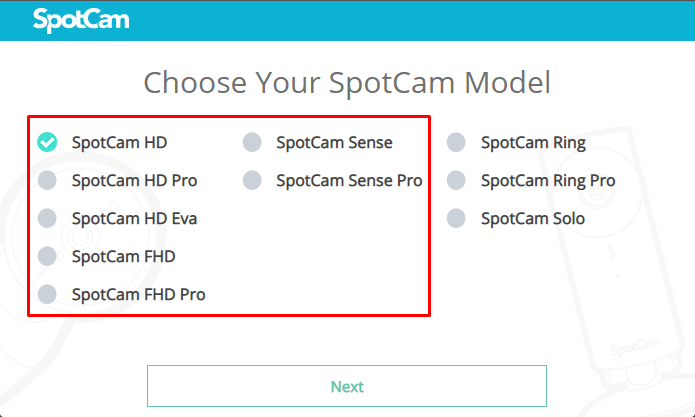 Select the specific model of your SpotCam and click next. 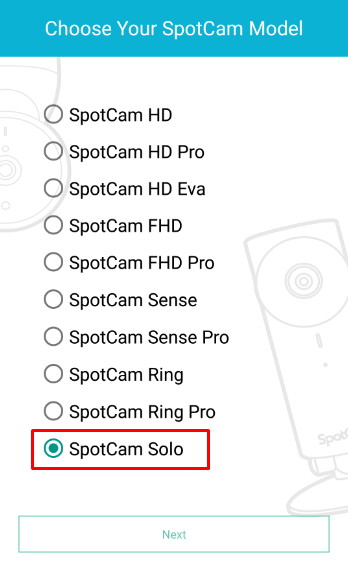 Just click on Change SpotCam Wi-Fi button and follow the instruction like above then you can easily change the Wi-Fi setting of your SpotCam. 1. Press the button with signal symbol on chime speaker for 1 second. 2. Make sure the LED of chime speaker is blinking yellow. 1. Press the button with signal symbol on the front top of the camera for 3 seconds. 2. Make sure the LED of camera is blinking yellow.